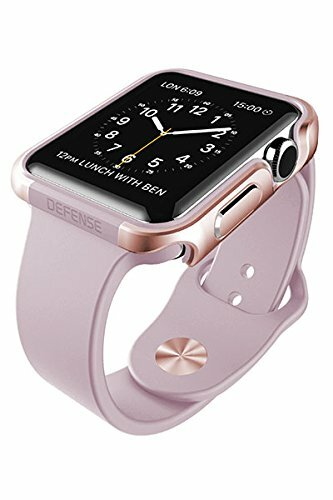 Defense Edge combines a durable machined aluminum exterior and a soft rubber lining to protect the edges of your Apple Watch from scratches and impacts. An easy snap on design allows for quick installation. Defense Edge is compatible with all 38 mm Apple Watch collections and wristbands.